Today is National Spirit Day, a day where we stand together to fight against bullying of LGBT youth. By wearing purple today, people around the country can show their support in the fight against bullying. Ever wonder what the color purple represents on the LGBT rainbow flag? 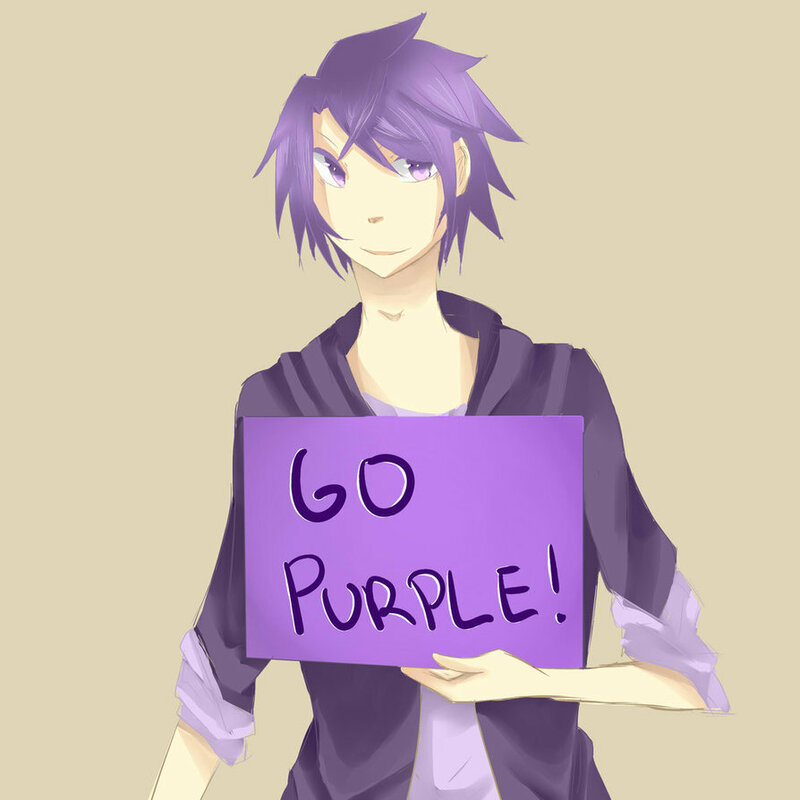 PURPLE= SPIRIT. The LGBT community is faced with adversity quite regularly in life, thus purple represents courage and strength in the face of adversity. I love this day, and feel it is such an important topic that deserves year round focus. Bullying is at an epidemic high in the United States. 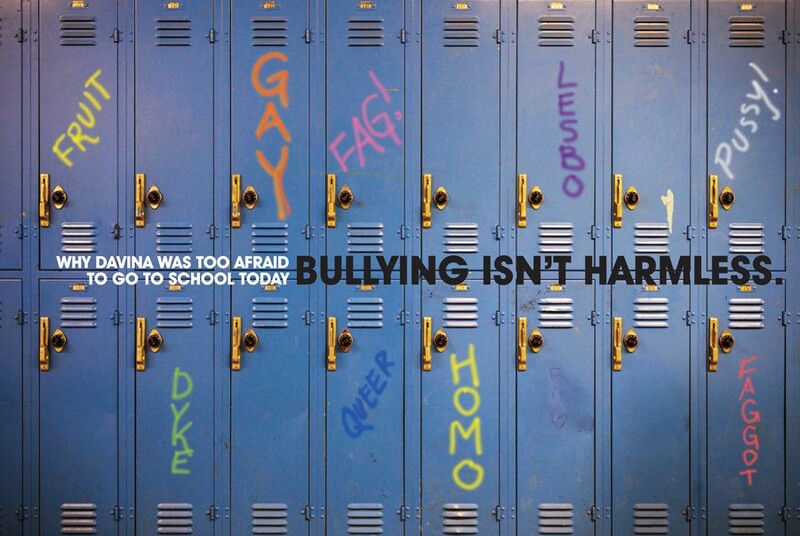 Among bullied youth, LGBT youngsters bullying rates are at extremely dangerous levels. We must continue to fight against such behavior and protect our youth. Let’s continue to work towards decreasing the LGBT youth suicide rates! Let’s continue to educate about bullying in our schools and homes. It is crucial to talk about this subject and fight against it. Lets put an end to the emotional and physical abuse that accompanies being bullied. 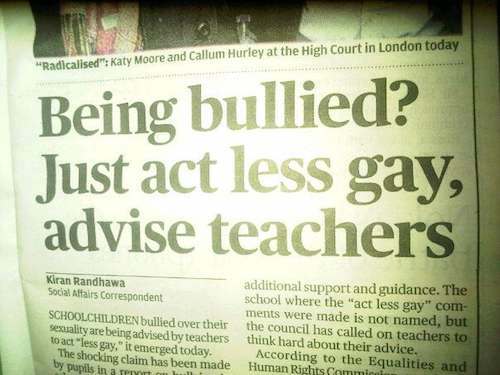 Lets protect our LGBT youth! We have seen great advances in the fight against bullying and the rights of the LGBT community in the last year….Gay marriage is now recognized in in 13 states and DOMA was repealed in the Supreme Court. These are huge accomplishments. The Trevor Project and the ‘It Gets Better’ campaign have helped fight against bullying. Although we have accomplished a lot, our youth are still dealing with bullies on a regular basis. Let us continue to educate in our schools and homes, and prevent future tragedies that come from the pain of bullying. Below are ten shocking facts about bullying. This is why #SpiritDay is so important. 1. One in four kids in the US are bullied on a regular basis. 2. Students in grades 6 through 10 are the most likely to face bullying. 3. 77% of students report being verbally bullied or abused in some way. 4. In 85% of school bullying cases, no intervention was made by a teacher or school administrator. 5. Approximately 80% of students report being bullied online. 6. Teens who identify as gay are five times more likely to commit suicide than those that identify as heterosexual. 7. Suicide is the second leading cause of death in American teenagers between the ages of 12 and 18. 8. Gay teens are 20% more likely to attempt suicide in politically conservative areas of the country. 9. In September 2010, 9 gay teenagers killed themselves across the country. That’s 9 young men under the age of 18 in one month. 10. 9 out of 10 LGBT students experience harassment. 61% have felt unsafe and 22% have reported being physically assaulted. ← Black Bean Coconut BROWNIES!